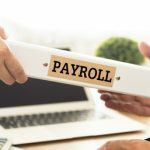 By definition, payroll taxes are taxes imposed on employers or employees, and are usually calculated as a percentage of the salaries that employers pay their staff. Payroll taxes generally fall into two categories: deductions from an employee’s wages and taxes paid by the employer based on the employee’s wages. The combination of the employee’s withheld taxes is called “trust taxes.” Since it is withheld from the employee’s wages, the money belongs to the employee. 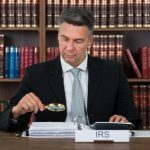 It is the employer’s legal responsibility to accurately withhold, account for, and pay the amounts to the IRS on the employee’s behalf. As an employer, you must deposit federal income tax withheld, social security and Medicare taxes for both the employee and the employer. Paying these deposits in a timely manner will help you avoid the stiff failure-to-deposit penalties which can be up to 15%. 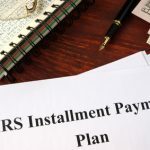 The IRS has two deposit schedules, monthly and semiweekly. You must determine, before the beginning of the calendar year, which of the two deposit schedules you are required to use. Determining your payment schedule is done using Publication 15 for IRS Forms 941, 944, and 945, or Publication 51 for Form 943. Per the IRS, you must use electronic funds transfer (EFTPS) to make all federal payroll tax deposits, unless the small business exception applies. When to make payroll tax deposits is based on the schedule you are required to use. If you are an employer on a monthly tax deposit schedule, deposit employment taxes on payments made during a month by the 15th day of the following month. If you are an employer on a semi-weekly deposit schedule, deposit employment taxes for payments made on Wednesday, Thursday, and/or Friday by the following Wednesday. Deposit taxes for payments made on Saturday, Sunday, Monday, and/or Tuesday by the following Friday. The multiple filing taxes for making payroll deposits can be very confusing. The IRS provides Publication 509 for you to refer to so that you are paying on a timely manner. An employer must pay his or her portion of FICA (social security) and Medicare taxes as well as state and federal unemployment taxes. Until the required amounts are remitted to the government, they are payroll tax liabilities of the employer. 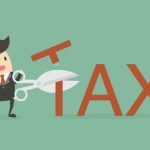 Some types of payroll tax problems are not paying your payroll taxes, paying payroll taxes late, and penalties for non-payment or late payment of payroll taxes. The IRS is very forceful in collecting what is owed to them. They have the power to padlock your business doors thus forcing you out of business. 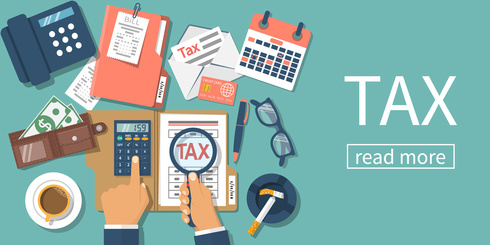 The IRS is authorized to assess the Trust Fund Recovery Penalty against any individual who is required to collect, account for, and pay the withheld unemployment taxes. The penalty is not limited to just one person. It can be assessed against one or more individuals. If you are facing any type of payroll tax problem, get help immediately. The IRS can and will come looking for you and they do not stop until they collect what is owed to them. 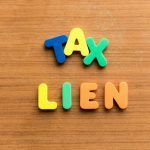 The tax codes and laws are written in a very complex language that only a professional tax attorney is an expert at understanding. 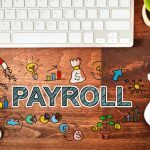 If you are confused about when to file payroll taxes, how to pay them to the IRS, or if you are having payroll tax debt problems, call the Law Offices of Nick Nemeth at (972) 734-1171 or click here for a FREE TAX ANALYSIS. There is help available for you.